1. 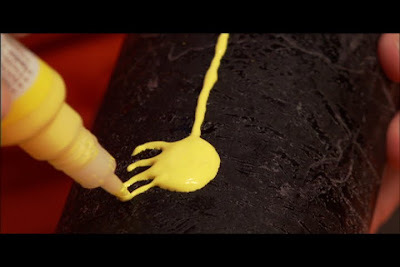 Use the Candle DecoPaint to add Halloween-themed drawings to the pillar candles. Crazy stripes also look spooky. 2. 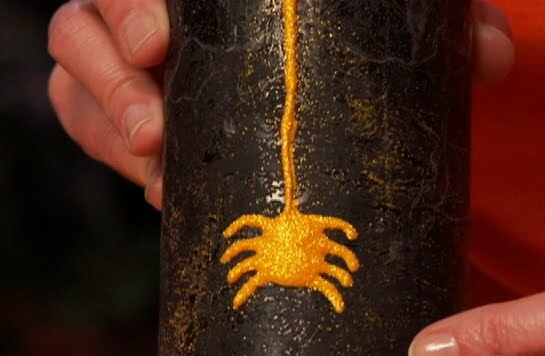 While the Candle DecoPaint is still wet, sprinkle ultra-fine glitter over areas that you wish to highlight. Work over a manila folder so that you can easily funnel any stray glitter back into its canister. 3. 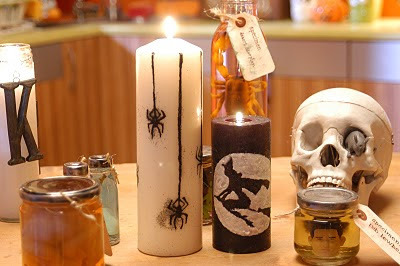 Allow the candle to dry for 24 hours.